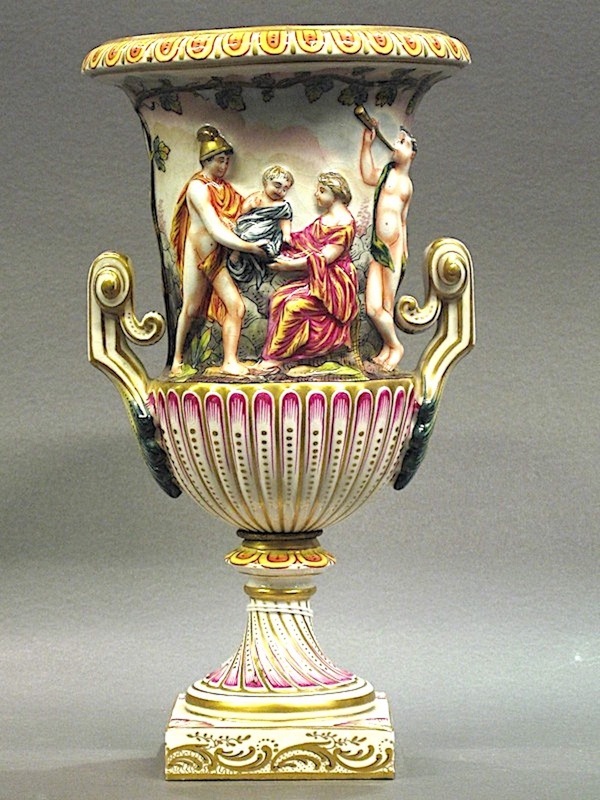 Capo di Monte vase $450. 29 cm tall and a very good example. Naples mark, and also the overglaze gilt "Made in France" mark. Naples mark, and also the overglaze gilt “Made in France” mark.